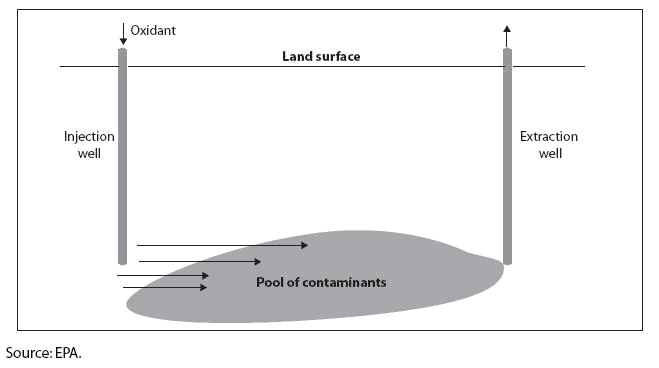 In place,on-site,such as EPA provisions for remediation in situ of contaminants rather than a requirement the contaminated soil be excavated and disposed of in an approved facility.To illustrate,the following is a diagram showing the process of chemical oxidation as an in situ solution to contamination. Seeds sown in situ successfully germinated on three host tree species, with the highest germination rates on those with D.
Se presentan datos de la duracion de los ciclos de vida y factibilidad de cria para dos especies del genero Pteronymia, comparando la cria in situ y ex situ. Melanoma in situ in sun-exposed areas was more common in older than in younger patients, and the reverse was true for melanoma in situ in body areas not exposed to the sun, which was more common in younger patients. The purpose of the current investigation was to evaluate the effectiveness of BST and the Eddie Eagle program with older children (8- and 9-year-olds) and to evaluate the effects of in situ training following BST and Eddie Eagle. Prominent dendrites, which are sometimes, though not necessarily always, present in melanoma in situ. A convenient aspect of studying in situ toluene degradation is that the benzylsuccinate synthase (fumarate addition) pathway is widely distributed. In Situ includes a number of woven willow boats of varied size and shape. An IHC technique using a monoclonal mouse anti-EV71 antibody and an in situ hybridization test using a digoxigenin-labeled enterovirus probe were performed on formalin-fixed, paraffin-embedded central nervous system (CNS) tissues and major organs of both patients. The diverge DNA probes developed for in situ hybridization have the sensitivity and specificity to amplify the signal-to-noise ratio and thus detect single copy genes in an in situ hybridization format. In situ preservation has another benefit: It avoids the genetic bottleneck created because plant explorers are able to collect only a small sample of a species from the wild. In these cases, the proportion of the total price attributable to the in situ resource is difficult to assign.